Research on the relationship between language development, perception, and control has shown that multilingual people have much higher cognitive skills in relation to monolingual people. 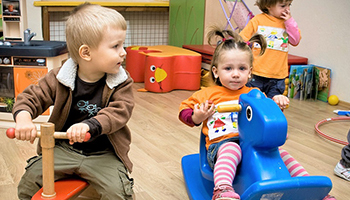 These studies show the positive impact of trilingualism on intellectual development. 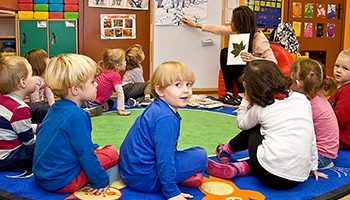 The child’s contact with the second and third language in early childhood makes the child learn to use these languages faster and easier than if they were to learn them later. Have you heard the statement that the child “absorbs like a sponge”? This term uniquely describes the process in which a child learns foreign languages. Children’s brains are prepared to receive and learn foreign languages, and fluency comes quickly and easily, and usually, children do not have a foreign accent. The easiest way to learn a foreign language from birth is to teach the baby three languages. Infants have an innate ability to repeat each sound and will never be able later again to achieve fluency in a foreign language so easily. Therefore, it is best to teach three languages from different language groups from birth which allows children to reproduce what they hear. In addition to the cognitive benefits mentioned, learning the second and third language also helps to achieve better grades at school. 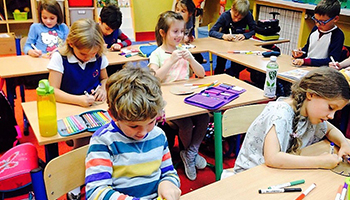 It has been proven that in trilingual children develop such features and skills as critical thinking, problem-solving and mental flexibility, which makes these children achieve better results in learning. Students who want to learn more languages in the future will also have an easier task. Differences in sounds, accent, an order of words, inflection, intonation, and grammatical structures will be easier for them to master. For languages that are etymologically similar to Spanish and French, similar vocabulary will make it even easier to learn the language quickly. All responsible parents want their children to be well behaved, they like learning, appreciate other cultures and be well grown into successful members of society. We want our children to enrich the world with their knowledge and personality. Learning the second and third language opens the door, which in other conditions remains closed. Bilingual and trilingual people have access to knowledge, people, places and things that remain unavailable to others. Knowledge of foreign languages distinguishes candidates on the labor market, deepens understanding of other cultures and allows them to appreciate; all these factors enrich life and provide new experiences to a person who freely uses the second and third language. Knowledge of foreign languages allows children to feel at ease in a foreign environment, promotes natural flexibility and easy adaptation to the environment, improves self-esteem and self-esteem. Do you want your child to change the world? All parents can imagine the great contribution of their child to social development. We have high hopes and wonderful dreams for the future of our children – not only to have a reason to be proud but also to improve the world and society in which we live. Multilingual children often have better analytical, social and scientific skills than their monolingual colleagues.